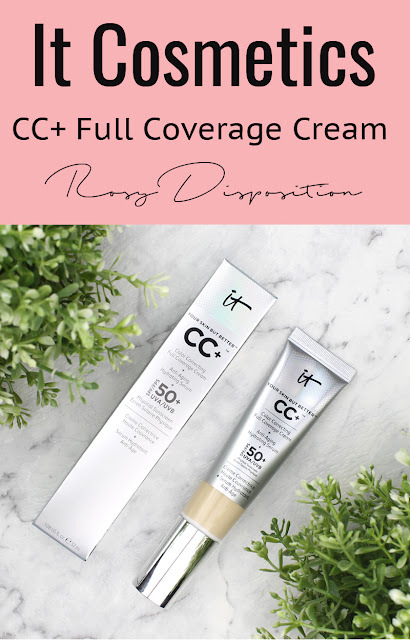 I have seen a million people raving about the It Cosmetics CC+ Color Correcting Full Coverage Cream ($58). I thought the lightest shade would be too dark for me for a while but after seeing some comparison swatches I realised that Fair would be a decent match and, luckily, I was right. 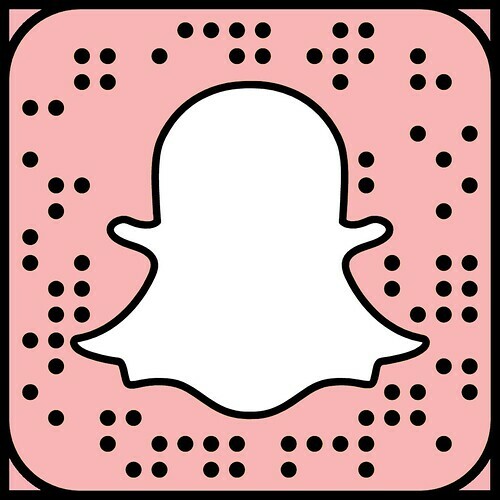 I have been using this as an everyday foundation for work and been thoroughly testing it out for you. So first off, let's look at the claims. It is necessary to go through these because I don't necessarily agree with all of them. The full name is one heck of a mouthful: It Cosmetics Your Skin But Better CC+ Colour Correcting Full Coverage Cream + Anti-Aging Hydrating Serum + SPF 50+ UVA/UVB. Why? Crazy long name aside, it claims to be full coverage ("highly pigmented for complete coverage" on the Sephora website) and this is the one I don't agree with. It is high coverage for a CC cream but I would call it more light-medium, buildable to medium. The claims I would agree with are that it is brightening, colour correcting and hydrating. I do also love that it has great sun protection but I always wear a separate sunscreen. The application of this is probably my favourite part. It is easy and no-fuss to apply quickly in the morning. A lot of foundations don't sit that well on my dry skin but this one is amazing. I am comparing it foundations because that really is what it is, just with those extra skincare benefits. I usually apply it with a Beauty Blender, but buffing brushes work well too. Like I said, it is quick and fuss free. Oh, and it also has a light pleasant lemon scent and doesn't smell of sunscreen at all so that is a plus. It has a natural, satin buildable light-medium finish, which basically sums up my ideal everyday foundation. If you feel like you have a lot to cover and want something truly full coverage it isn't for you, but it is a great option if you like to just even out your skin tone and let your skin shine through. Plus, I always just cover my undereye darkness and imperfections with a tiny bit of concealer. As or longevity, I would say it lasts well throughout the day and definitely keeps you even for a good 8+ hours but like all dewier, lighter coverage hydrating formulas, it isn't crazy long wearing. Overall, I think this is a fantastic everyday foundation for most skin tones. People with more to cover or oilier skin might want to look for something with more coverage and staying power, but I love it for my dry skin. I also think this would be fantastic for more mature skin types because it sits really well and has great added skincare benefits. 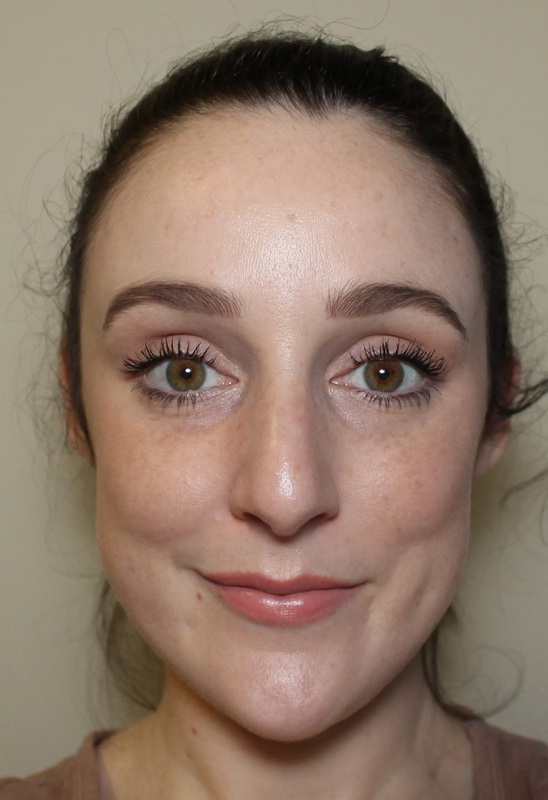 Here is my makeup using the CC Cream as my base and as you can see, it looks really natural on the skin while also evening out my skin tone. It definitely give you a "your skin but better" look, so I agree with the name there. 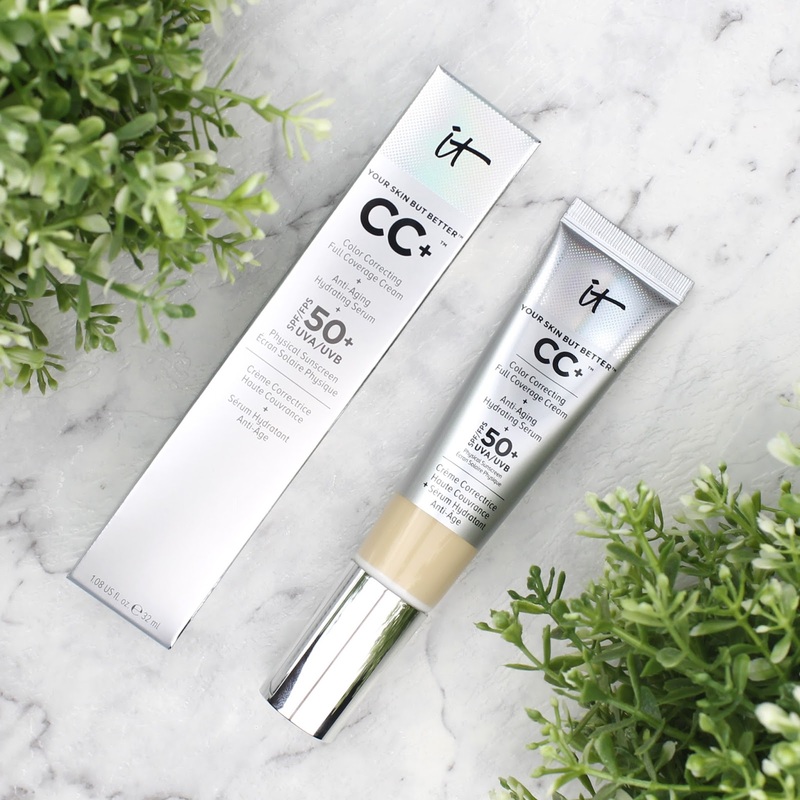 Have you tried the It Cosmetics CC+ Cream? Will you be checking it out after reading this review? Let me know in the comments below. I'd also love to know what else I need to check out from the It Cosmetics range. Disclaimer: I purchased this product with my own money. As always, my opinions are my own. 32 comments on "It Cosmetics CC+ Cream Review"
Thanks for your review! I've been eyeing this off for so long! I went to buy it at a Sephora sale and the sent the Illumination version. Defintetly not as good, but you may like it since you have dry skin. Thanks so much. You should definitely give the original one a go. It is annoying that they sent you the wrong one. 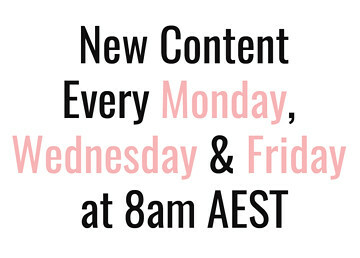 I think I'm going to have to grab a sample of the illuminating version to check it out. I absolutely love this product! It Cosmetics is one of my favourite brands! Have you tried the CC powder? I love this stuff! But I agree - when my skin is oilier it doesn't last as well. I still use it though because of the SPF factor but it definitely sits better in my dry days. I'm glad the fair worked for you. The jump between fair and light is pretty big! I wish they had more shades. It is so huge! I actually had only seen the light tester and figured I wouldn't be able to use it and then I realised there was a fair. I want to try this so bad! I'm worried about the shades though and we don't have a store here where I can see them in person. I love this formula so much! I am a huge fan of It Cosmetics and this product has really put them on the map! Love this review and love this CC Cream! It is probably one of my favourites, mostly because of the pigmentation! I agree with the shade range though - I'm right in the middle of fair and light, it's so annoying! I really wanted this for travelling but I just couldn't get a shade right for my skin. I tested out another shade and the formula was nice. Hopefully they come out with a couple more shades! I really don't understand why they haven't expanded the shade range. It is their best seller! I haven't tried anything from It Cosmetics. This cream does sound amazing though! I've only tried a couple of things but I am definitely interested in trying more. I've heard so many good things about this brand and in particular the CC Cream! I have combination skin so it's comforting to hear it works well on dry patches! I absolutely love this product! 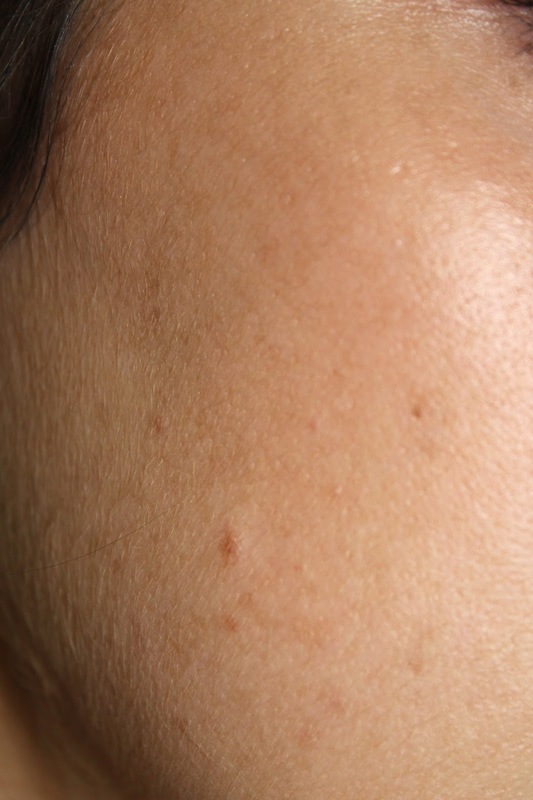 The coverage is so amazing and it's so comfortable on the skin. I do find it a wee bit dewy on my combo-oily skin, but I find if I only apply a small amount and set well with a powder and it wears quite well! I seriously love this foundation!!! So glad you liked it too! Sounds great, wanna try it. It's such a good product. I see it as a more authentic CC because it really does do EVERYTHING the originals did. Most western brands have delivered far less on the benefits.